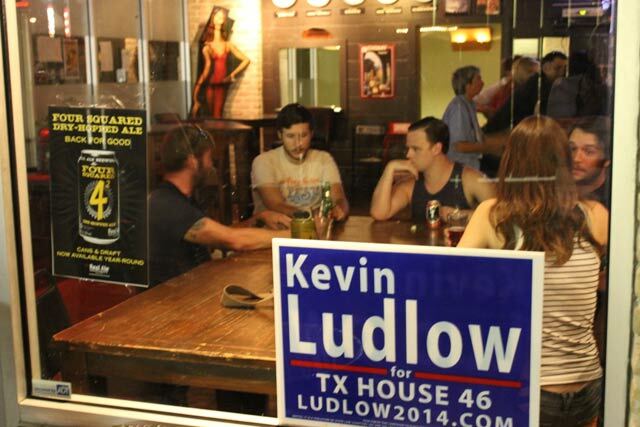 After another fantastic weekly campaign strategy meeting, a group of campaign volunteers headed over to the Nomad Bar. A few weeks ago, the owner of the bar had pledged to support our campaign. My residence is just a few blocks from the bar and I'm certainly at least a semi-regular customer. It's always been my go-to for meeting people out for drinks. I also happen to run some of the community forums that he is a part of. So naturally I was very happy to walk into the bar and see our campaign signs hanging in various windows and over shelves. It's a wonderful feeling to be getting so much support from the local community and I look forward to working hard for them.